I specialize in helping military families move to the Coastal Virginia Hampton Roads Cities of Norfolk,VA, Virginia Beach, VA, Suffolk,VA, Chesapeake, VA, Hampton, VA , Yorktown, VA and the surrounding areas in Coastal Virginia. Most of our relocation buyers find us right here just the way you did. I know the best neighborhoods for you. I have been helping military staff and their families relocate to the Norfolk, Virginia Beach, Chesapeake, Hampton and Suffolk areas for years. 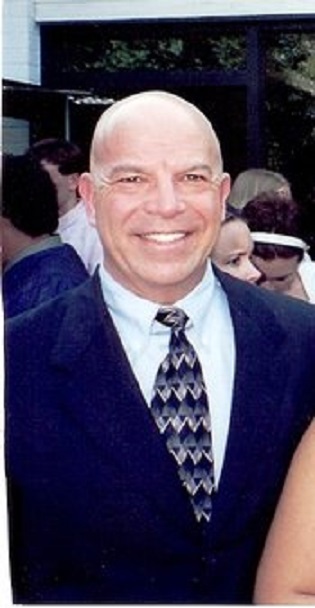 I hold the National Association of REALTOR's Military Relocation Professional MPR® certification. My team's relocation services specialize in assisting military personal, business personal, medical personal, school personal being transferred in to area. Our relocation services are designed to ensure that every client referred to The Eisenberg Real Estate Group Relocation team receives the highest quality service, ultimately resulting in a successful and smooth transition for our clients to the area. Please consider me to be your military relocation specialist. 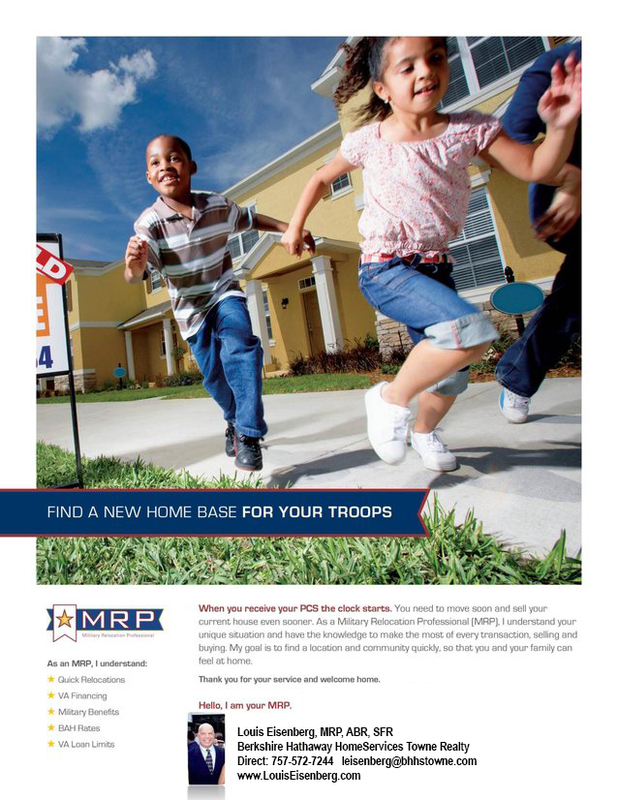 A REALTOR® with the Military Relocation Professional MRP® certification understands that when military staff and their families relocate, the services of a real estate professional who understands their needs and timetables makes the transfer easier, faster, and less stressful. The MRP certification focuses on educating real estate professionals about working with current and former military service members which helps their clients find the housing solutions that best suit their needs and take full advantage of military benefits and support that are available. Service members and veterans who hire REALTORS® with the National Association of REALTOR’s MRP certification will have increased confidence that the REALTOR® will understand their specific real estate requirements and processes as well as understand available finance benefits and support.